Miss Humblebee’s Academy is a fun, interactive, and award-winning, online kindergarten-readiness learning solution for children ages 3 to 6. With hundreds of lessons in Math, Science and Social Studies, Language and Literacy, Art, and Music, the curriculum increases in difficulty as the user progresses through the program. Miss Humblebee’s Academy assess cognitive skills at regular intervals for measurable improvement toward kindergarten readiness and offers a developmental observation checklist allowing parents to review and record social and emotional growth as an additional condition of preparedness. Parents can track their child’s learning outcomes through weekly progress reports that are emailed and available online 24/7. Miss Humblebee’s Academy can be accessed at the library, home, or on-the-go via smart phones, iPads, and tablets. Approximately twenty percent of the curriculum is available offline in the form of printables and practice worksheets. Gale Courses deliver hundreds of engaging, instructor-led online courses focused on professional development, technology skills, and personal enrichment to transform lives and foster positive changes in your community. These six-week courses are taught by professionals, affordable for libraries and free to your community. Small Business Resource Center includes the Business Plans Handbook series (containing hundreds of sample business plans created by real-life entrepreneurs), the Encyclopedia of Major Marketing Strategies, Encyclopedia of Management, and Encyclopedia of Small Business, and other award-winning reference eBooks, as well as content from over 300 business journals and magazines. The In Context family of online resources meets the needs of today’s student researchers with an easily searchable, mobile-responsive design. Current, authoritative, media-rich information in eye-catching, engaging, topical databases — covering Biography, Canada, Global Issues, Literature, Opposing Viewpoints, Science, Student Resources, U.S. History and World History. 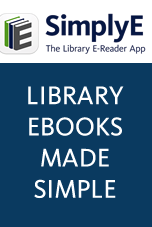 GVRL provides an eBook experience optimized for search and discovery with authoritative Gale content, as well as titles from other leading nonfiction publishers. Once logged in, users can easily share and download articles — including their highlights and notes — using Google Apps for Education tools that include Gmail, Classroom, Drive, Docs, and more. Other features include: platform and article-level translation, text-to-speech, and 24/7 access to any title on any device. Quickly transform data from your existing library systems into powerful insights with Analytics On Demand. Analyze data at the household-level to identify your patrons and rich demographic data, like population, age, race/ethnicity, and income. Make data-driven decisions to target new populations, create new programs, and better allocate your budget and resources. Re-run the reports to determine if your changes made the desired impact. The Testing & Education Reference Center (TERC) helps users embark on new education and career paths with in-depth information on colleges/universities, graduate/professional programs, distance learning, corporate training, available scholarships/awards, and more. Practice tests include entrance exams, certifications, and licensing tests. With the Career Assessment tool, students can map a career path using a multiple-choice exam that determines their Holland Type and matches their answers to the most suitable job categories, industries, and occupations. The Resume Builder and Virtual Careers Library tools helps students build essential career skills like how to build a resume, cover letter, and interviewing tips. Associations Unlimited combines data from the Encyclopedia of Associations series and includes additional IRS information on nonprofit organizations, for a total of more than 456,000 organizations. Associations Unlimited is an indispensable source for: locating national, international and local associations; monitoring association trends; identifying related associations; networking and making professional contacts; marketing to associations, their members and markets; and so much more. This premier database offers balanced coverage of every academic concentration — from advertising and microbiology to history and women's studies. Combining indexing, abstracts, full text and images, Expanded Academic ASAP delivers answers for both the novice and the experienced researcher — all in one seamless search. Available on the groundbreakingPowerSearch® platform, your library gains 24-hour, remote access to the right academic sources through your preferred interface with the right technical configuration for your needs. The scope and depth of coverage in Expanded Academic ASAP will satisfy the broad spectrum of students, faculty and graduate researchers who depend on your library for answers every day. Balanced coverage is available through more than 4,200 indexed and more than 2,500 full-text titles in a wide variety of disciplines including: social science journals, humanities journals, science and technology journals, national news periodicals, general interest magazines, newswires, The New York Times and many others. More than 2,800 journals are refereed, and more than 20 years of backfile coverage are included with your subscription. o Academic ASAP brings together periodical content on every academic concentration — from advertising and microbiology to history and women's studies. Combining indexing, abstracts, full text and images, Expanded Academic ASAP delivers answers for both the novice and the experienced researcher — all in one seamless search. o General OneFile is Gale's largest general-interest database, serving as the public library's ultimate periodical resource, with more than 8,000 titles (most in full text with no embargo).